The calendar says that we're on the cusp of spring, but the irritated dry spots on my cheeks and around my eyes say otherwise. Despite the slightly elevated temperatures and promise of relief, I seem to be experiencing the worst bout of dry skin I've had all winter. This predicament inevitably led me to Harvard Health's interview with Barbara Gilchrest, MD, dermatologist and senior lecturer on dermatology at Harvard Medical School, about how to prevent and treat dry winter skin. "Combating the problem starts with keeping your home environment moist," she told the publication. "Use a humidifier if you can." As far as moisturizers go, she specifies that it doesn't have to be expensive to work. "To my knowledge, while there are some extremely expensive moisturizers, there are none that are proven to be magically better," she adds. While perusing the skincare aisle, she suggests looking for a moisturizer with alpha hydroxy acids, also called fruit acids, such as lactic acid or glycolic acid. "Creams with alpha hydroxy acids tend to hold moisture in the skin longer than other moisturizers," she explains. "You can get them at fairly high concentrations. … Use small amounts until your skin gets used to them so you can apply them and they don't sting." 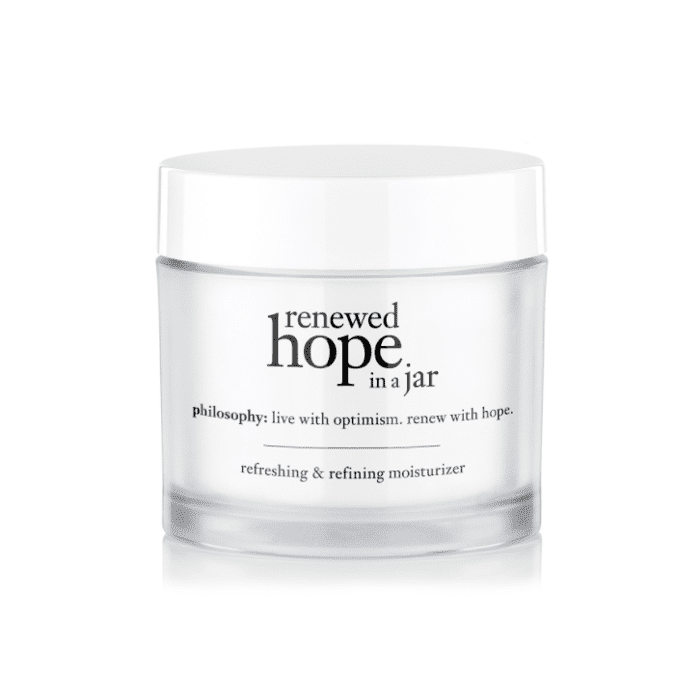 Philosophy's cult-favorite Renewed Hope in a Jar moisturizer fulfills all the requirements and will run you just $14. The company describes it as a "lightweight, whipped formula," featuring a triple blend of alpha hydroxy acids, including an Asian fruit extract and three forms of hyaluronate, which is a type of hyaluronic acid found naturally in the dermis of the skin that penetrates the skin and helps it hold onto water. What's more, it's one of Sephora's top products, boasting 461 reviews and four out of five stars overall. Products aside, Gilchrest also emphasizes the importance of protecting your skin from the harsh winter elements. "Keep your skin covered in cold temperatures, and don't forget to wear gloves when you're out," she adds. Although a hot bath or shower, roaring fire, or under-the-desk radiator may sound appealing, "that type of direct heat can be damaging to your skin," explains Gilchrest. Finally, "whenever possible, try to wear soft fabrics. Wool is warm, but it can scratch and irritate the skin. If you do wear wool when you go outside, be certain to remove it as soon as possible when you go back inside, or layer it over softer fabrics." Head over to Harvard Health for more, and shop Renewed Hope in a Jar below.